The dining table is one of the bastions of the Italian household, and not just that! There, tables are more than just a simple piece of furniture since they are a meeting point around which people come together to fill their bellies and keep each other company. All in all, the dining table is a life-long companion and, as such, it must be chosen with the right mix of love at first sight and rational decision. 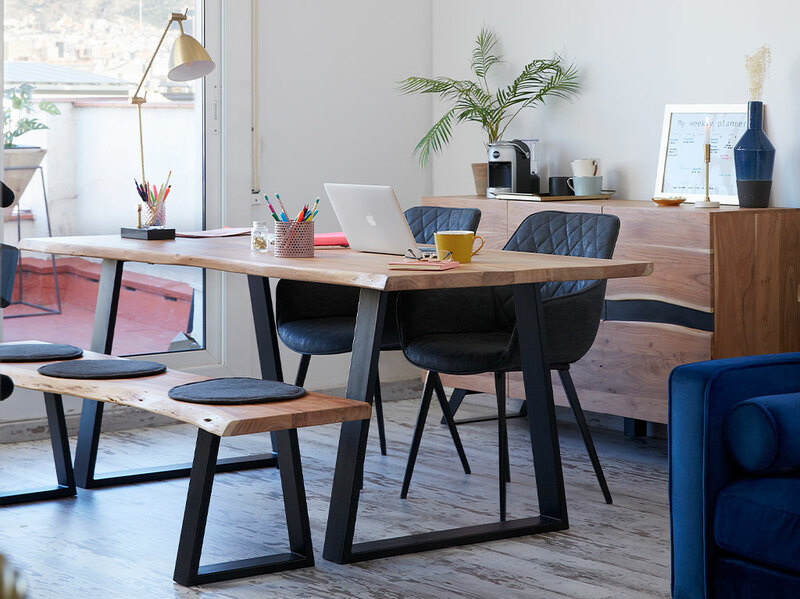 We’ve selected four Kave Home tables that are completely different from each other, so that you can pick the best one for you. Do you have doubts about the materials to pick or how many people it should seat? The Burano model, in tempered glass, will clear up all of your doubts. It goes well with a classical style since it softens more serious touches, as well as with more glamorous and dazzling styles, with highly ornate baroque designs or more modern geometric layouts. What’s more, with a length of 180 cm, it has enough space for friends and family. 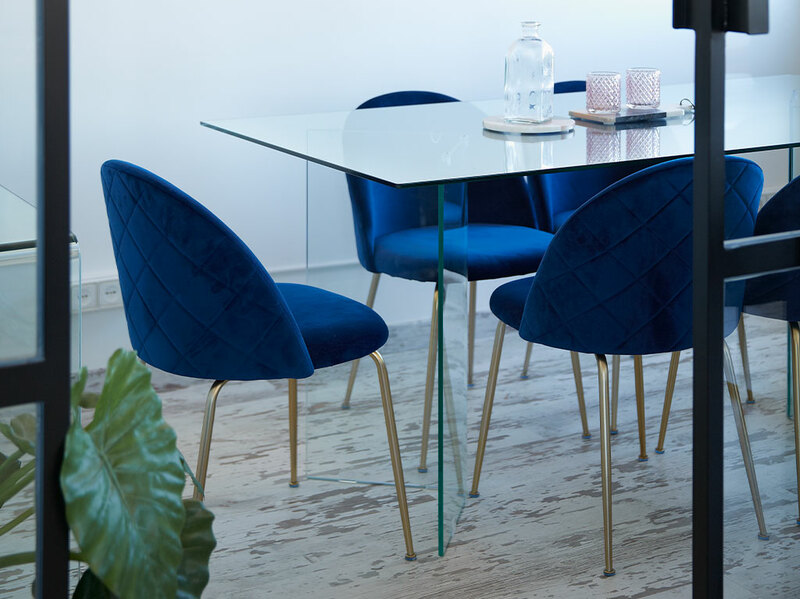 Transparency takes centre stage since it lets light flow freely through the table, making smaller spaces look more spacious and corners with not much light won’t seem so dingy. Despite its subtle design, the aesthetic effect really shines through. 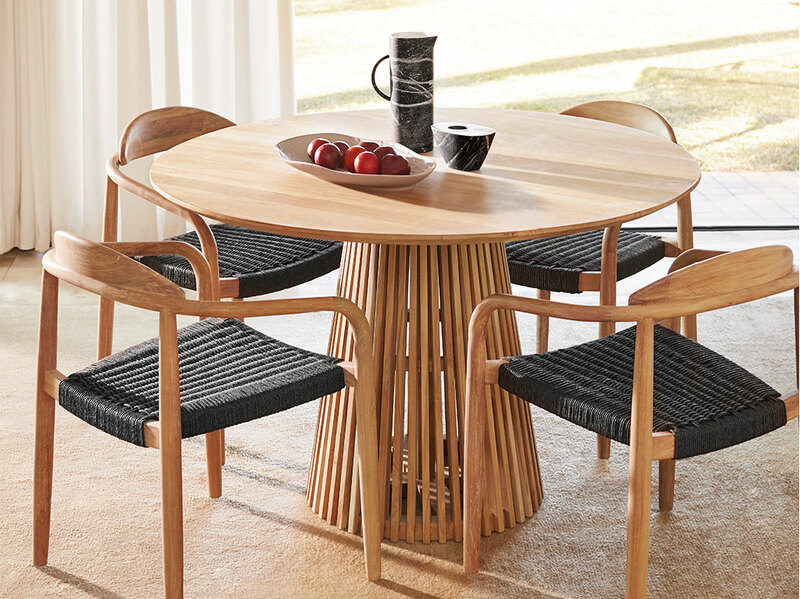 If you’re always hearing “there’ll be one more at the table today”, you can’t miss out on the XL version of the Alaia table. It’s special not just because of the number of people it seats but also because of its design. The black metal makes the wooden table top stand out with all its grains and imperfections. A model that you can’t pass over when it comes to decorating an industrial studio flat or an urban jungle-style flat. What’s more, it’s easy to match with other items because its design is in harmony both with contemporary and vintage furniture. Whatever version you go in for, the result will always be the same: a space packed with personality! Ideal for people who you want to surprise with your taste and elegance, the Jeanette table is irresistible for anyone who loves decoration. It has a comfortable and extremely aesthetic design, with a central support that offers a large amount of space for your legs and a round shape that allows all guests to look each other in the eyes without anyone feeling left out of conversations. It’s likely that this model will become the most attractive part of your dining room because it’s made out of opaque wood and because of the details in the on-trend bars which are often included in japandi, tropical or vintage style décors. With this table, your private dinners will become exclusive events! Do you like family get-togethers? With so many people coming together around the table, any excuse goes for throwing a party. The Isbel is made out of solid oak and can be extended up to 260 cm so that you can invite anyone you want over and share a harmonious ambience. Its rough, forest-inspired design has four robust square legs and a lineal table top with its grain on show. Its simplicity also hides its versatility since the Isbel blends naturally into the most popular décor styles. 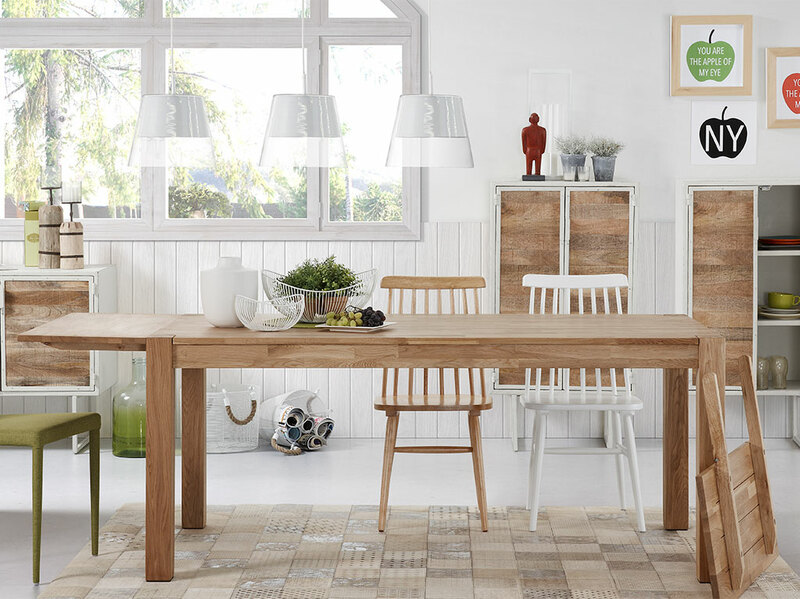 If you have a smaller dining room, you can always give it pride of place in your holiday home or even in a tavern-style space. Do you want to see any more surprising table styles? Take a look here!